Ok people! Fall is here which means the cold and flu is lurking and creepin’ in the corner waiting to pummel us to the ground this season. It seems as with the changing seasons a lot of our bodily functions can get out of whack – our clarity, productivity, digestion and more. Our team at Balanced Babe is not going to let you fall out of balance so easily, folks! We researched fall herbal remedies for all over wellness that can help support our line of defense (our immune system), strengthen our digestive tract, and keep our mental clarity stimulated! We shared our tips on WCIU You & Me This Morning a while back, and now we are sharing it with our favorite readers. Now it’s time to put these to use – the weather is truly getting chillier and we’ve already started to see friends coming down with the seasonal cold. So get your printer pumped up to print this out and load up on your supplemental ammunition to be ready to kick a cold in it’s groin. -Echinacea: This supplement is ideal for squashing signs of a cold in it’s initial stages. It’s a great immunity stimulating herb. Echinacea stimulates white blood cells, which helps fight off infections and illnesses. It comes in drops that can be put directly into a glass of water, or you can take a straight up supplement like we do. 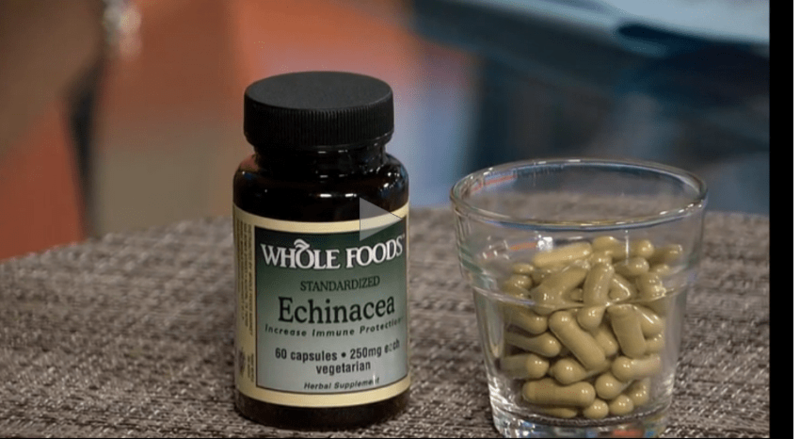 Echinacea is also found in Emergen-C and Airborne, so there are plenty of ways to get this herb in your system! 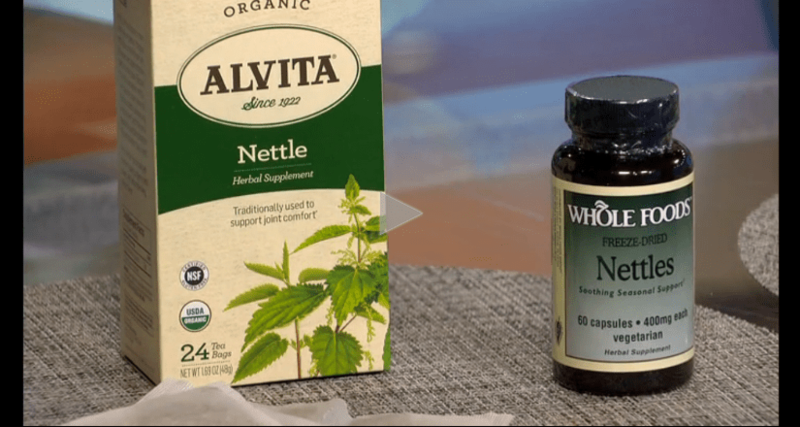 -Stinging Nettle for digestive health: This herb sounds scary, but it is quite the opposite! A lot of folks like to sip on stinging nettle tea if they are having digestive upsets like feeling bloat or gassy. This powerful herb is also great at alleviating water weight; so if you’ve had a night out drinking or eating salty foods – add this herb to your morning juice or smoothie the next day! You can steep leaves for tea or take it as a supplement. 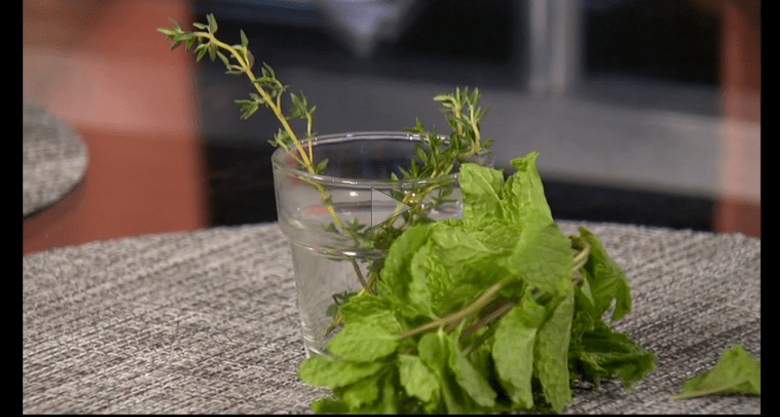 -Thyme: There is a great humidifying remedy for breaking down mucus to clear out your lungs that incorporates the popular herb, thyme. This remedy can help you get back to breathing normally and feeling better. All you have to do is place the thyme into a bowl of hot water, cover your head and the bowl with a towel, and inhale the steam – voila! 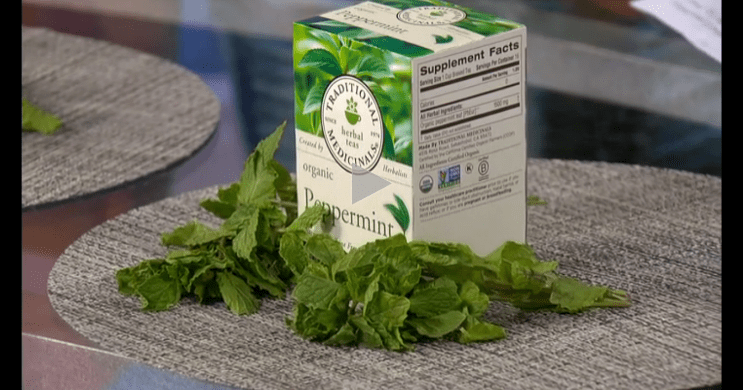 -Peppermint: I’ve written about peppermint in the past and it’s wonderful benefits – so I had to add it to this season’s herbs essentials! Peppermint is great for mental clarity. I love using peppermint essential oil when you are tired or foggy to perk you up; all you have to do is whiff the oil or blot behind your ears or wrists. Drinking the tea also acts as a wonderful digestive aid if you’ve just had a large meal. 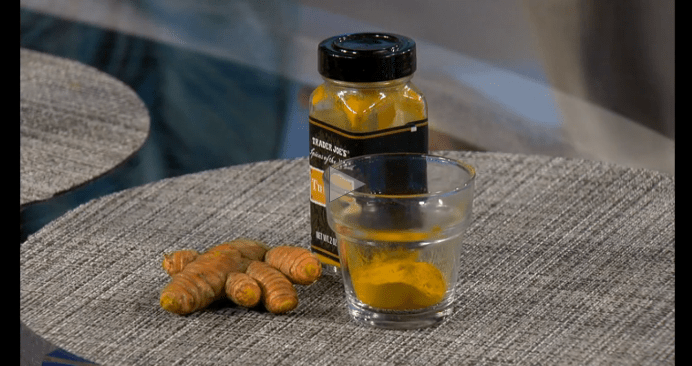 -Turmeric: Turmeric is a strong antioxidant and anti-inflammatory root that not only helps rid inflammation within your body, it also helps boost radiant skin (hello beauty benefits!). Research has shown that is can help ease your pain from the anti-inflammatory properties. I love adding turmeric to all of my recipes. I sprinkle it on fish, add it to my soups and smoothies, and even in my salad dressings. To top all these fall remedies off – there is also a great way to help the whole family feel better if everyone has caught a cold. Boil a large pot of water on the stove with herbs and spices and let it simmer to clear congestion, bring mental clarity, and enhance energy. You can add: ginger, clove, rosemary, thyme, peppermint and sage in the water and let it boil and fill up the room. What are some of your own natural remedies you use to stay healthy in the fall season? Share with us in the comments!